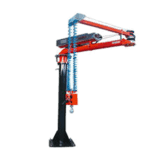 Like all ATISACER manipulators, ATISACER 55 is provided with double wire rope trasmission system combined with a pneumatic cylinder. 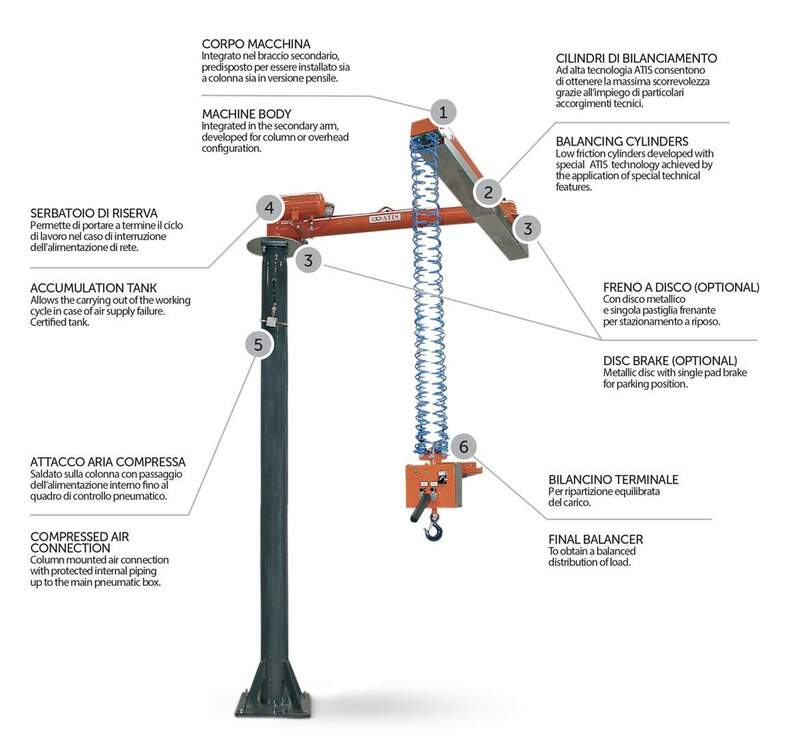 ATISACER 55 is the smallest of the family, light and easy to handle for loads up to 50 kg (110 lbs); it allows the handling of many kind of products in easy and safe way, thanks to the special gripping tools that can be integrated. 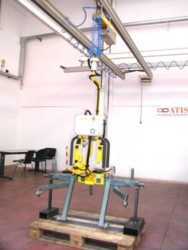 To grant most safety ATISACER 55 works with double rope, it's furthermore provided with load and no-load balancing system. 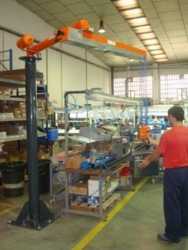 The operator acts directly on the product or on the tool, with high precision and without effort. 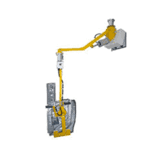 If needed ATISACER 55 manipulator can be provided with a "sensitive" handle, which allows to operate on variable weight products just acting on it. 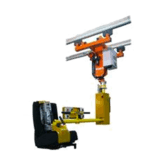 Also this manipulator can be installed on column, both mounted fixed to the floor and on transportable self standing base, or overhead fixed or on rails. 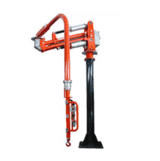 * Operating air pressure 0.7 MPa / 102 psi, gripping tool not included. 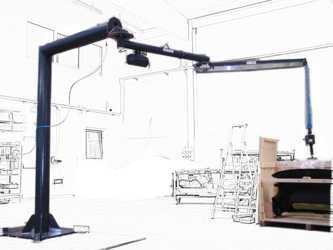 The values are purely indicative and may be increased and decreased from our technical department to suit specific customer requirements. 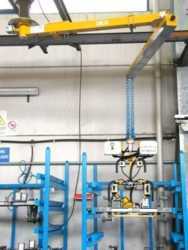 Safe handling of hundreds of different products: with ATIS you can! 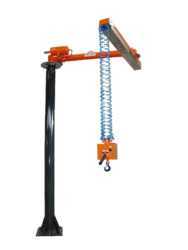 ATIS handling manipulators - D&B RATING 1 !